Dyeing hair is one of the newest trends to hide the white hair, that make people look older than their age. Consequently, the hair saloons have become the primary choice for coloring their hair. Also, some people prefer dying the hair themselves, at homes. In line with this, we Aspire Oral Care Pvt. 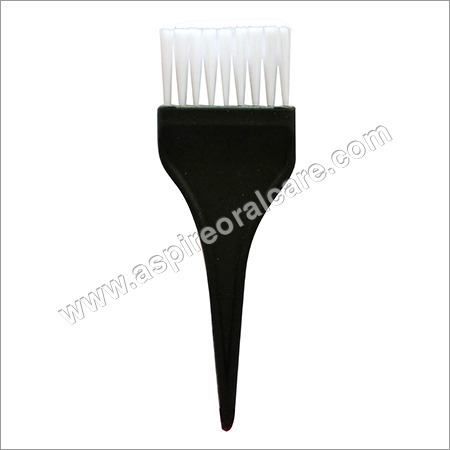 Ltd. manufacture and supply quality Hair Dye Brush, which is imperative for dyeing the hair. We provide a wide range of Hair Coloring Brushes that are sure to create ZERO mess and provide root to tip precision. With our durable hair coloring brush, you can get the salon results at home. In comparison to the commonly available hairbrushes, our hair dye brush offers the optimum ease of protection.